Like the LITTLEmack but allows a series of messages which the user can step through in sequence. Theoretically there can be up to 45 messages totalling 2 minutes. Formerly known as Step-by-Step. One-shot timer prevents message repetition when a user continually activates a switch. 2 minutes of recording time. Angled base for easy access. 1 x 9V battery included. Like the LITTLE Step-by-Step, but allows up to three selectable sets or ‘levels’ of messages. These can be on separate themes, for different activities or times of the day. FREE Snap Switch Cap and toy/appliance cable. This enables the user to control a battery- or electrically-operated toy or appliance allowing voice output to be paired with an activity. The cable, which is included, has a 1/8" (3.5mm) plug on both ends. One end is plugged into the Communicator Toy/Appliance Jack (TOY/APPL.) and the other into a battery device adapter, a Switch Latch and Timer, or a control unit such as a PowerLink. The Toy/Appliance Jack operates only when a message has been recorded into the Communicator and will activate the item only while the message is played. 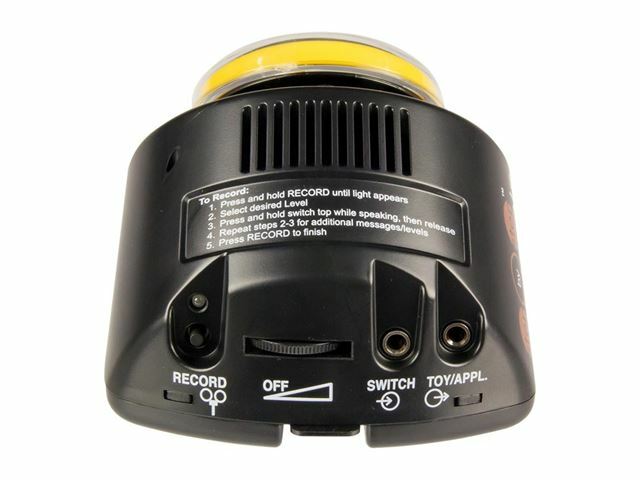 A battery-operated toy or appliance may be attached directly to Communicators via a battery device adapter. Using this direct connection, the toy or appliance will be activated for the length of the message. 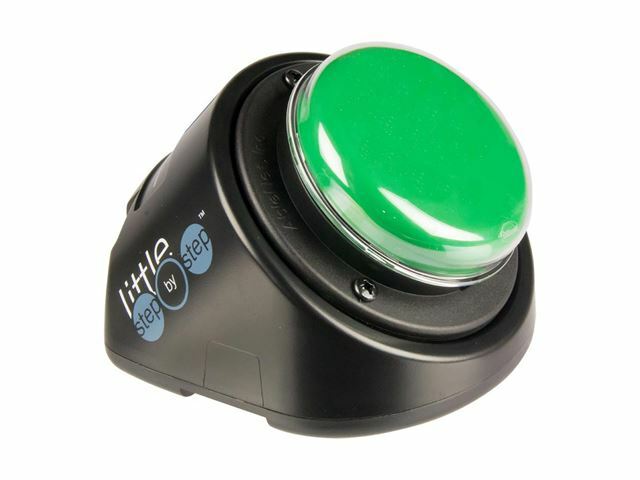 If you wish to extend the action beyond the length of the message, simply connect the Toy/Appliance Jack to a Switch Latch and Timer and choose the Latch or Timed mode of control. 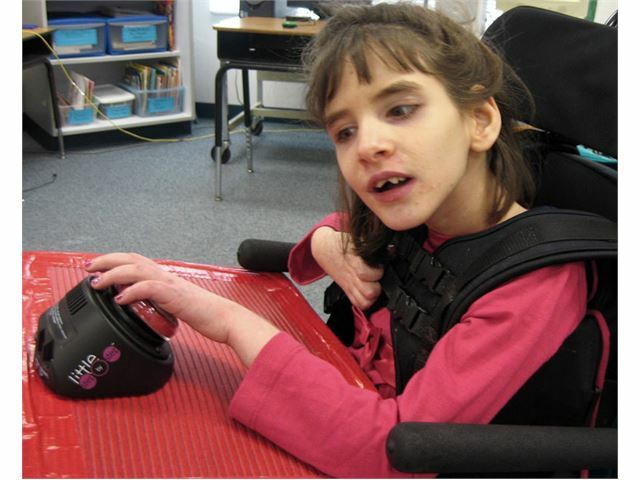 When you want to use a Communicator to activate, and comment about, an electrically-operated appliance, toy or game, connect it to a PowerLink control unit (or another control unit) by plugging the cable into the switch input jack on the control unit. Any switch with a 1/8" (3.5mm) plug or 1/8" mono plug adapter can be used to activate the Communicators by plugging it into the external Switch jack on the side of them. The user will then be able to activate them with either the external switch or the surface of the Communicator. Now with interchangeable red, yellow, green and blue tops. 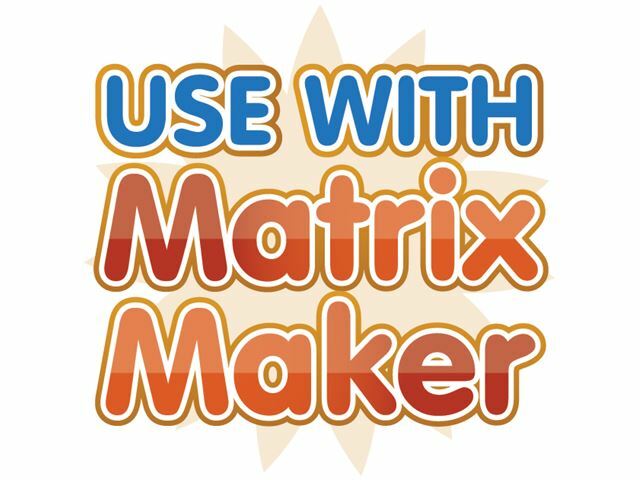 Our Matrix Maker Plus software is just £129 when you purchase it along with any communication aid with a value of £100 or over. At last - the next step in easy-to-use communication aids!